Amazon Vice President, Paul Misener has used a recent interview to talk about the company’s Prime Air delivery service at length. The interview touched on certain topics that Misener simply didn’t know the answer to – or wasn’t at liberty to discuss at this stage as the case may be – but also managed to extract a great deal of information about how Amazon envisages the service working, as well as how the online retailer plans to overcome certain hurdles and obstacles that are currently standing in the way. The first question on everyone’s lips is generally “how much will Amazon charge for delivery when Prime Air eventually starts being offered?” When asked about price, specifically if the service would cost more or less than a regular delivery package, Amazon’s Vice President couldn’t provide a definitive answer. The official answer provided was that he didn’t know if Amazon had actually sat down and worked out pricing and packages at this early stage. It’s likely that additional information pertaining to pricing will be become more readily available after Amazon solves a number of the challenges that stands in the way of an official launch. Misener also touched on the driving force behind the Prime Air delivery initiative, claiming that certain customers have “high-delivery expectations”. 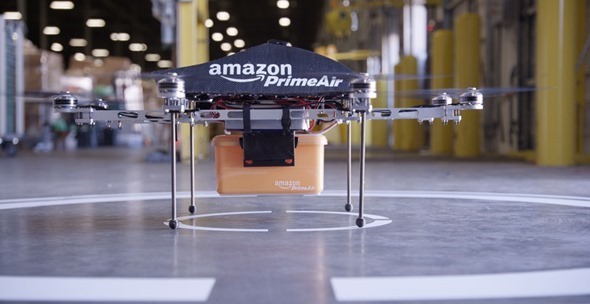 Prime Air will exist in order to try and deliver packages that weigh up to five pounds to customers within 30 minutes of order as long as that customer lives within a certain location. 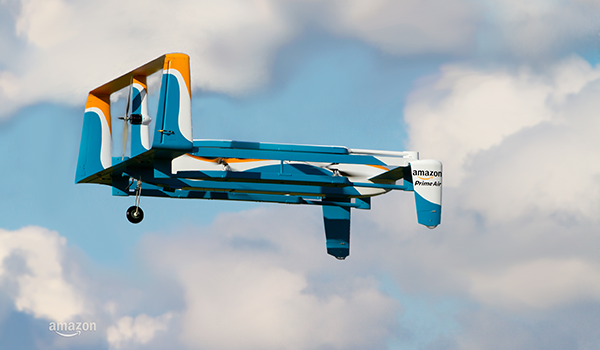 The drones used by Amazon will vary depending on the location of the delivery. As an example, the type of UAV used for delivery to a hot dusty area like Phoenix, Arizona will differ to from the aerial vehicle used for delivering a package to Orlando, Florida due to the different climates. Misener confirmed that Amazon is currently testing a number of different drone prototypes to combat this issue. The regulatory issues to which you refer are difficult. And once we demonstrate the safety of the system, we believe that the regulations will quickly follow. Whether or not the FAA sees it the same way is entirely another story. will they make the drone to sound your door bell before it leaves ? If you want 30 minute delivery, I think Amazon should expect you to be home when it is delivered. Otherwise, why bother with a 30 minute delivery? I mean if its 30 min – 2 hour delivery i don’t think it should have to ring or do something you should expect it. Well if it’s Prime Now then yeah you should expect it but it’s a regular 2 day or longer delivery from Amazon then I think it should let you know. Can’t trust people these days. I’m sure you’ve heard of those stupid mail thrives. Amazon is usually really really good at getting their packages delivered with prime 2 day delivery. and especially if its air it should only take 30 min to 2 hours. So you should be expecting it to be that fast. Also could always check outside your house within an hour or so.